Madge Roofing Inc. is your Quality Specialist. They have been providing professional and quality roofing workmanship in Western Canada for over 25 years. They are locally owned and operated with offices in Saskatoon and Biggar and serve rural Saskatchewan. they pride themselves on quality workmanship and exceptional service. With over 50 years combined experience, and the owner having a background as a Certified Roofing Inspector, they are there to do it right the first time. 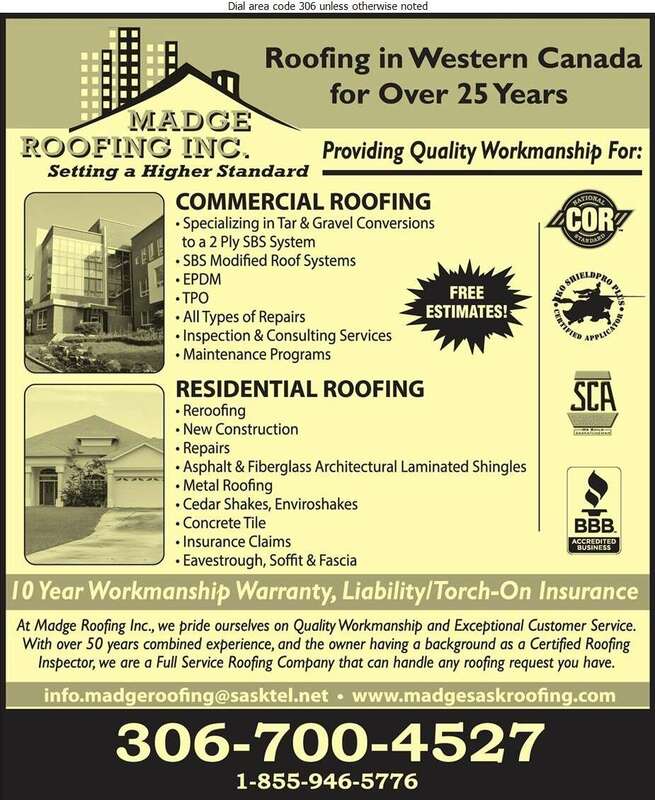 Call Madge Roofing Inc. today!